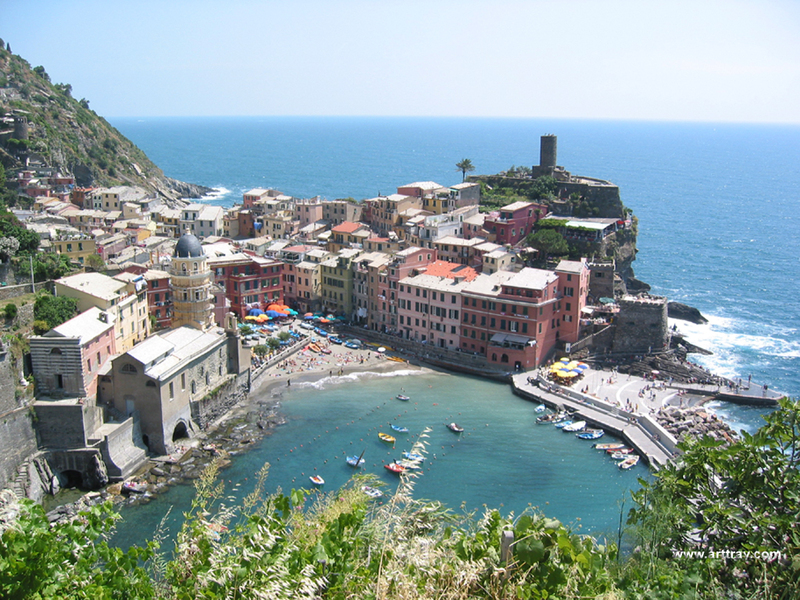 The Cinque Terre is one of the most desired destinations for American visitors to north-central Italy. 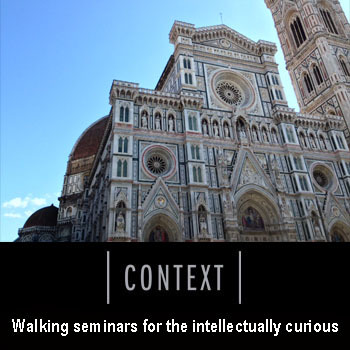 I often hear of students and tourists who plan a day-trip to the Cinque Terre from Florence, which is feasible, although as with all the areas of Italy, I believe it takes a longer stay to get a good understanding of the area. 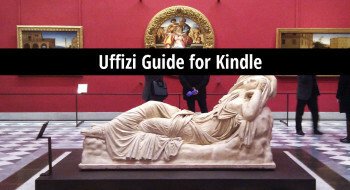 In this article you’ll find instructions on how to get to Cinque Terre from Florence and how to get around between towns. To travel to Cinque Terre by train from Florence it is best to take a train departing from Firenze S. M. Novella station, you can purchase tickets from the Trenitalia website or at the ticket window in the train station. To arrive at Cinque Terre you take the Regionale train to La Spezia Centrale (NOT La Spezia Migliarina). *Note some trains stop at Pisa Centrale at which point you need to switch trains to make the final destination to La Spezia. Tickets (2nd class economy) currently cost 13.50 euro each way (updated summer 2016). Remember to validate your ticket by stamping it at the box near the platform before riding to avoid a fine. Once you arrive at La Spezia Centrale, you take a short local train to Riomaggiore (the first town of the Cinque Terre). This train timetable can also be found on the Trenitalia website (departing from La Spezia Centrale and arriving at Riomaggiore). This train departs a few times each hour and takes less then 10 minutes of travel. *Note the fast trains departing from La Spezia do not stop in every one of the 5 towns. 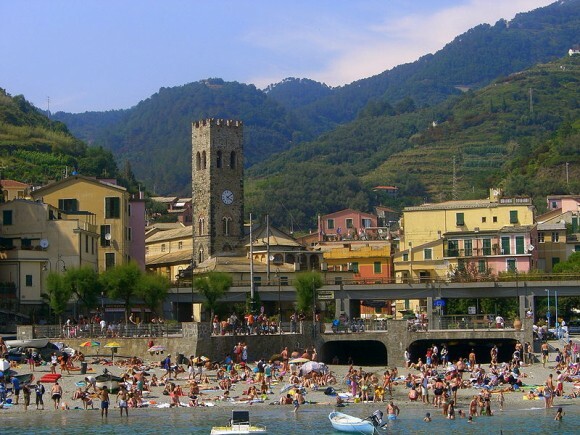 Some only stop in Monterosso (town #5) and Riomaggiore (town #1). 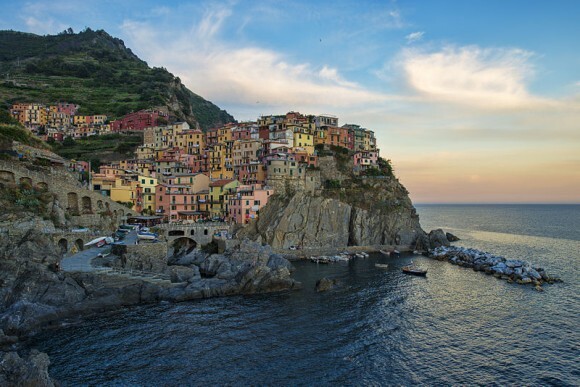 The towns of Cinque Terre (Moterosso – town #5, Vernazza – town #4, Corniglia – town #3, Manarola – town #2, Riomaggiore – town #1) are minutes apart by trains departing approximately every half hour, or by boat, depending upon the season. The train travels between towns in two directions – per Levanto or Genova (northbound) or per La Spezia (southbound) they depart in intervals which can be viewed on the TV monitors located in the stations. Ticket prices were raised in 2016 and it now costs €4 for travel between any of the towns during high season (whether you go between 2 close together or across the whole area). Be sure to stamp your tickets before hopping on board. 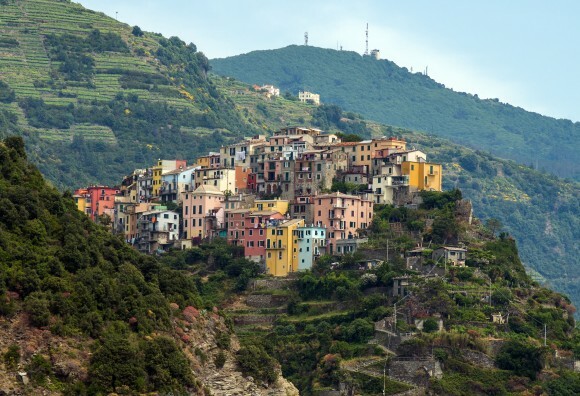 If you plan on taking the train frequently during your visit, there is a Cinque Terre Card with train package that includes the local train, elevators for the mobility impaired, access to the SVA hiking trail, and discounts on museums. This card is discounted if you stay overnight in the Cinque Terre with a registered hospitality provider. If you are feeling active you can hike between the towns. The hiking trails that connect the towns is a great way to see the area and soak in the beauty and colors of the coast. If you choose to hike, be sure you are prepared with sunscreen and water to avoid heat exhaustion if visiting in the hot summer months, and wear proper hiking shoes. The trails are quite difficult, and there’s a lot of uphill. Be informed about any trail closures: the famous via dell’Amore is closed in two sections, between Riomaggiore and Manarola, and from Manarola to Corniglia. This closure is long term due to landslides. 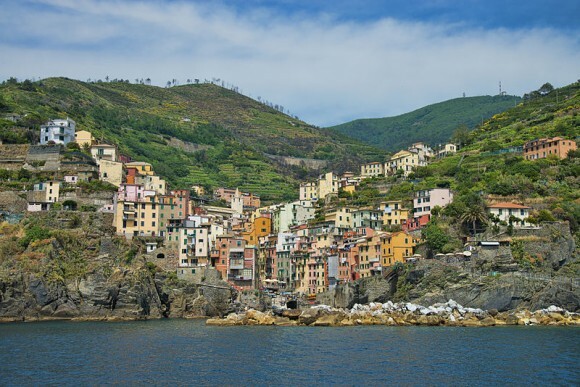 After enjoying a lovely day throughout the towns of Cinque Terre it is best to make your way back to La Spezia Centrale and hop on a regional train. A few of the local trains that you used to connect towns within Cinque Terre do travel to larger destinations such as Pisa and Milan however it is much faster to ride a larger train departing from La Spezia. Especially if you have come on a day trip, make sure to write down the departure time of the last train for the evening and all the other connections you need to make. Given that trains are often late, it is best to take the second last train, rather than the latest one. An alternate, perhaps slightly more costly way of visiting Cinque Terre is through an organized tour. 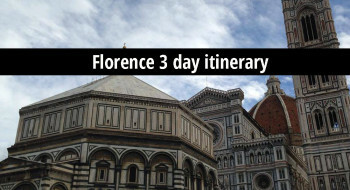 Most tours include transportation by bus, departing within the city center of Florence, as well as a tour in English and a lunch. There bus tours available for a convenient day-trip from Florence. 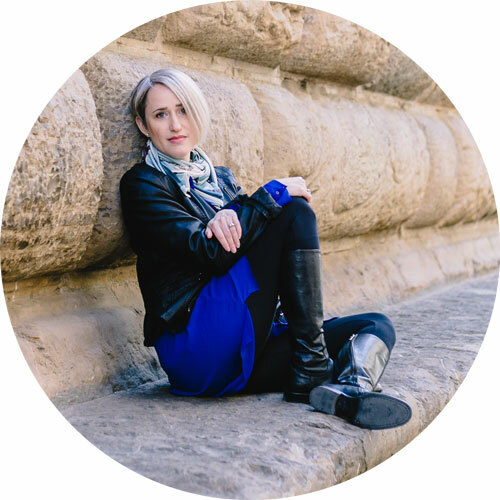 This is a great option if you don’t feel up to dealing with the trains by yourself, something I totally understand because it can be pretty stressful! 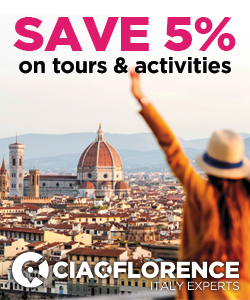 I’ve scored you a 5% discount on Ciao Florence’s tour (click the banner above to claim it) that takes you to 4 out of the 5 towns. Since the easy walk on the via dell’amore between Riomaggiore and Manarola is closed, they substitute that with the boat between some of the towns, which is a really charming alternate viewpoint. If you want something more exclusive there is the very small van tour from Prestige Rent – see banner above – who provides a Mercedes car and driver for a private tour. 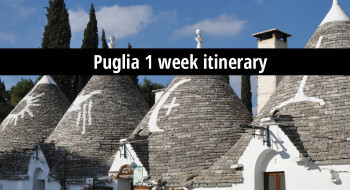 This tour starts at 550 euro for a couple and you can save yourself the trouble of thinking about train connections and travel in style, with ac and wifi. 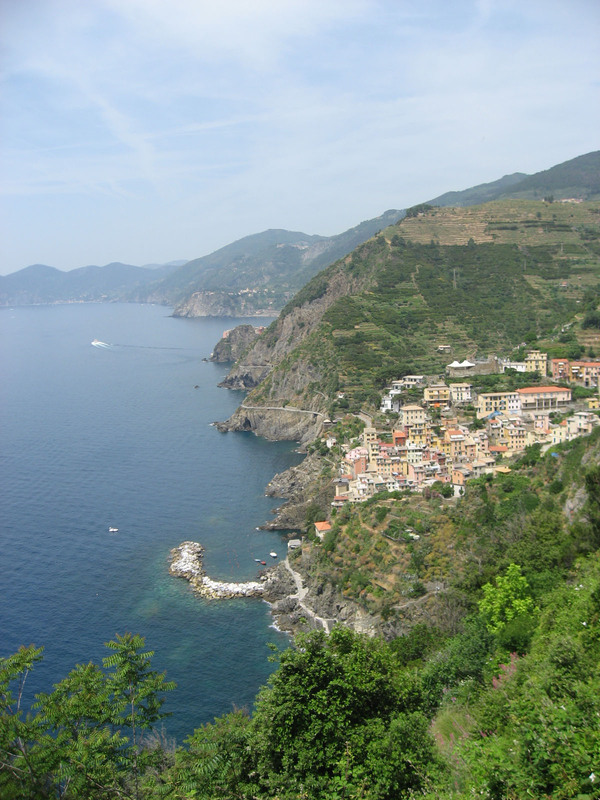 You cannot reach Cinque Terre easily by private car because the towns’ historical centers are not accessible! If you do have to go using your own/rental car you’ll need to park in La Spezia. There is a new parking lot at the train station there that costs €18 per day and has online reservations! 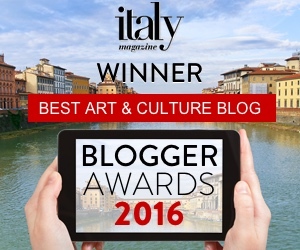 Read more about that in this excellent blog post from Cinque Terre Insider.